Does that brief sound a little odd? A leading brand with low awareness? The reality is that Perfect Touch’s users – men and women between the ages of 15 and 50 from the LSM 7-10 groupings – select the brand with over 30% share of the hair styling market based on colour and packaging, not name. 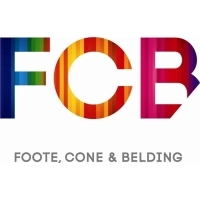 Changing this was the challenge put to FCB Joburg’s team of strategist Rose Harman, executive creative director Jonathan Deeb, creative director Erin Brooks, art director Nyiko Mahange and copywriter Bongani Ntombela. According to Hair Care Brand Manager, Wasiema Nassir, the brand’s competitors leverage off strong brand equity, but there is parity tonally within the category. “This presented Perfect Touch with the opportunity to stand-out with a unique and interesting creative treatment and message,” she said, “and the Tiger Brands’ marketing team responsible for hair care briefed the agency to take advantage of that. “Our creative idea encapsulated this insight and this gave rise to our campaign: ‘There’s Perfect Touch for that’,” Brooks explained. “The campaign, which kicks off with two television commercials, illustrates how Perfect Touch allows you to achieve a variety of styles in minimum time. “There’s the ‘2-minute-turned-up-top-slicked-back-with-Wetlook-Gel-hairstyle’ version and the ‘3-minute-let-loose-beach-waves-sprayed-in-place-with-Ultra-Hold-Hairspray-hairstyle’ version for when life gives you little to no notice to look your best,” said Brooks. Each spot is just 30 seconds and tells a short story quickly. Shot by Asher Stoltz and Bryan van Niekerk from Team Best in Johannesburg over two days, they almost leave the viewer breathless as the actors go from plain to stunning courtesy of Perfect Touch. 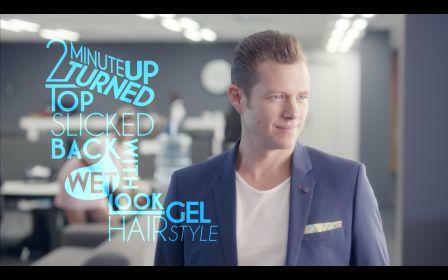 “Given the detailed brief from Tiger Brands’ hair care team and the great collaboration between client and agency, we produced two really exciting pieces of work, and we’re certain this campaign will more than meet its objectives,” concluded Brooks. The ads broke during the fourth week of July.